The "Star Spangled Banner", "Stars and Stripes", and "Old Glory", are the most popular nicknames for the American Flag. 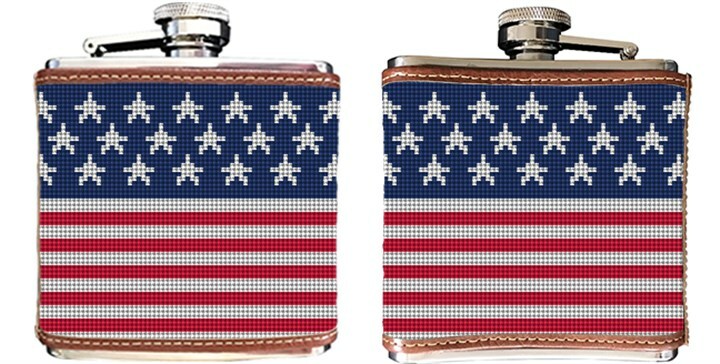 We have designed our version of the American Flag on a needlepoint flask canvas and we call it a "Great Gift Idea"! When planning your canvas, please let us know if you would like to include a free monogram.